Would you like to be a superior swimmer? Want an effective way to achieve it from the inside out? To be a better swimmer you need dedication and commitment. You need to put in the practice laps and fine-tune your technique, helping you relax and perform at your best when the pressure's on. With the Improve at Swimming subliminal session, you'll tap into your latent reserves of stamina and control! 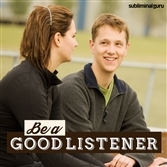 As you listen, thousands of powerful positive affirmations will alter your thinking, helping propel your way to success. You'll master swimming strokes with ease, moving yourself through the water as efficiently as possible. You'll enjoy better coordination and breath control, giving you the chance to make the most of every competition. 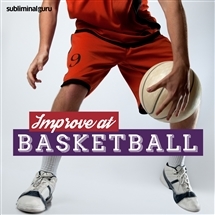 Download the Improve at Swimming subliminal audio now to take your swimming potential to the absolute max. I swim like a fish. I am a coordinated swimmer. I master swimming strokes easily. My breath control is awesome. Every day my swimming improves. I love the freedom water gives me. I look forward to swimming competitions. I always swim to the best of my ability. People admire my swimming technique.